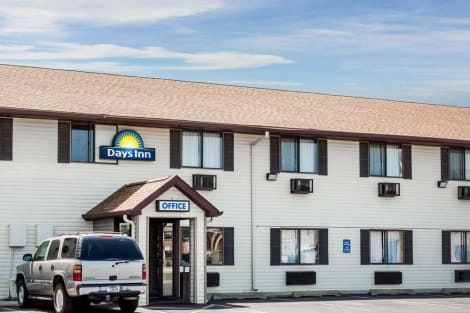 When you stay at Country Inn & Suites by Radisson, Ankeny, IA in Ankeny, you'll be in the business district, within a 15-minute drive of Wells Fargo Arena and Adventureland. This hotel is 10 mi (16.1 km) from Iowa Events Center and 10.1 mi (16.3 km) from Iowa State Fairgrounds. 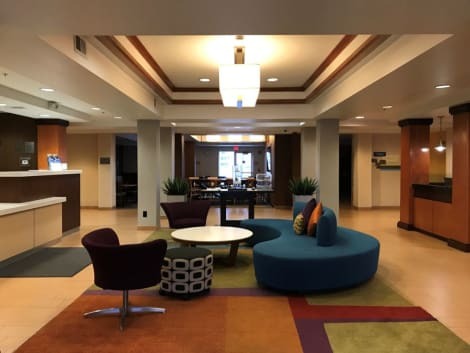 With a stay at Holiday Inn Express Hotel & Suites Ankeny-Des Moines in Ankeny, you'll be within a 15-minute drive of Wells Fargo Arena and Adventureland. This hotel is 10.2 mi (16.4 km) from Iowa Events Center and 10.3 mi (16.5 km) from Iowa State Fairgrounds. When you stay at WoodSpring Suites Ankeny in Ankeny, you'll be in the business district, within a 15-minute drive of Wells Fargo Arena and Adventureland. This hotel is 8.4 mi (13.5 km) from Iowa Events Center and 8.5 mi (13.7 km) from Iowa State Fairgrounds. A complimentary hot/cold buffet breakfast is served on weekdays from 6 AM to 9 AM and on weekends from 6:30 AM to 10 AM.